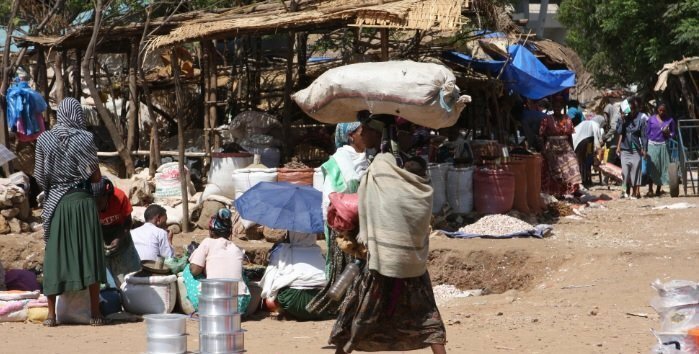 A report by DW Amharic today says that several residents of Metema, a border town in North West Ethiopia, are hurt following violence in the town. The report did not give details on the extent of it and if there are life threatening conditions. However, it did say that as many as 300 residents of the town including ethnic Tigreans are displaced to Galabat, Sudanese border town. Kemant community members are reportedly among those displaced from Metema. “The attackers are from outside Metema and are organized in gobez aleka [organized youth group in the region],” a resident of Metema with Tigrean accent told DW Amharic on condition of anonymity. Mayor of Metema, Adnew Ayanaw, confirmed to DW Amharic that there has been violence in the town in the afternoon and that they are investigating the cause. Meanwhile, the regional state has issued a statement today calling for people to protect hard won “change” in the country after four civilians were killed by what the statement called unknown gunmen in Western Gonder Zone. The statement added that there are groups working to incite violence between people. Although played-down by Amhara regional authorities in the past, there are activists on social media who tend to think that TPLF leaders in Tigray have organized clandestine groups in the region to cause violence. However, no concret evidence seem to be available to support what appears to be rather skepticism.